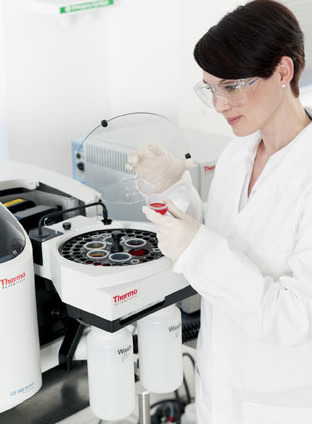 Thermo Scientific's iCE 3400 Atomic Absorption Spectrometer features a dedicated furnace with the highest flexibility of Zeeman and Deuterium background correction. The iCE 3400 AA Spectrometer is a combination of performance and simplicity. Superior optics, innovative design and flexible background correction options ensure analytical performance. The iCE 3400 provides the complete solution for furnace atomizer analysis in an innovative and easy-to-use package.